Random Anny .Com: Is that a Binary Tee? Is that a Binary Tee? Apparently Barbie is not the Future Mrs. Mosby. 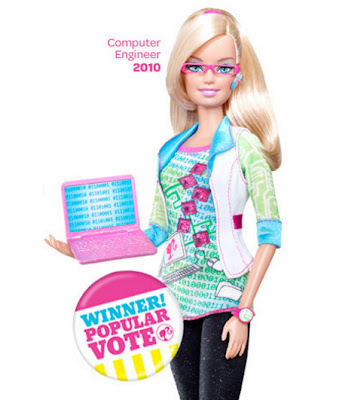 The people clicked and this year's Barbie will be a computer engineer. Sadly, she may also develop a tumor from her non-removable bluetooth piece. Story Here.